Comments: Comments Off on Here is why the NFL is rushing to get the new drug testing deal done. Here is why the NFL is rushing to get the new drug testing deal done. Clearly fans of any team with a player that has been suspended are excited about the possibility of getting those players back. But understand that the NFL and NFLPA have been working on a new drug policy for more than 3 years. What is the rush go get it done now? Let me say that I have no inside information about the issue but I do think I know what is going on. And we will know if I am right by what is in and is not in the new policy. Here is what I believe is driving the NFL to try to get a new deal—As I said here several weeks ago, the new pressure on the NFL is the different results of the Gordon test. I have a feeling that the NFLPA is pressuring the NFL to get this new deal done or it will explore the cancellation of the entire drug testing program because of unreliable test results. There is no excuse or explanation for a single urine sample yielding two so different results. That is a threat to the weed testing at a minimum or the entire testing policy at a maximum. The only way that the NFL can walk away from the disaster of two answers to the same question of how much weed was in the sample is to get a new and higher standard for weed. The NFL and NFLPA have been trying to get a deal that would include testing for Human Growth Hormone (HGH) for more than 3 years. A new more realistic measure for weed will be included in the deal. That will give the NFL the door to escape a bad testing system. So how can we tell if I am right? There will be 3 indicators of who has the upper hand in the final negotiations between the NFL and NFLPA. 3 Does the weed level increase significantly? If it does, there is a very good chance that the Gordon result had a lot to do with the pressure to get this deal done so fast. 2 Is testing for Performance Enhancing Drugs (PED) limited to in season testing. Right now a PED does a player no good if taken during the off season. If the new policy has testing for PEDs only from OTAs to the Super Bowl, then the NFLPA won a MAJOR concession. 1 The biggest and most divisive issue between the parties is the power of the Commissioner to handle and decide on appeals from a failure on a drug test. The NFL has stood firm that the Commish must retain that power. The NFLPA wanted a neutral party to make the call on an appeal. If somehow the NFLPA wins on two of these three issues, I will feel justified in my assumption that the Gordon test debacle has had a major impact on the balance of power between the union and the league. I fully expect the new policy will include wins by the NFLPA on issues 2 and 3. issues. 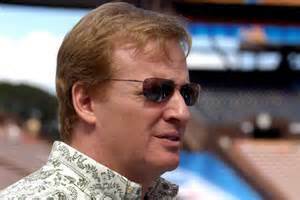 But either way, there is no question that the NFL in general and Commissioner Roger Goodell are sweating this one out. They screwed up and thanks to Pro Football Talk everybody knows it. NOTE: Check out the News, Notes and Rumors podcast Monday, Wednesday and Thursday on https://fryingpansports.com/radio-show/. On Samantha Bunten of NBC Sports and I talk football with just a little Indians and Cavs thrown in. The archive is available on https://fryingpansports.com/radio-show/. Please join us.